Master Jie focuses on helping to improve a person’s health and wellbeing in a natural way. He believes each person has huge potential. His philosophy is to encourage the seamless interaction between humans and the natural world, further benefit to our health and wellness. 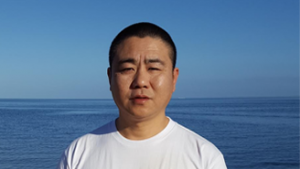 Master Jie is the premier member of International Energetic Healing Association, and is an expert at practicing holistic healing in Melbourne, Spiritual healing meditation, physical health improvement and wellness guidance. In 2010, Master Jie was awakened and gifted with what is known as the Third Eye. The Third Eye gives Master Jie the power to locate blockages of tendons in any part of the human body, by sight and touch. These chi energy healing skills further allow him to help identify the true reasons that may have caused your health issues and to help diagnose your current condition through spiritual and alternative energy healing. After his enlightenment, Master Jie has great ability to introduce powerful Chi energy into the body through his energy healing sessions. It may result to adjust the Ying Yang Chi Energy in your body and further achieve the balance; To stimulate Chi flowing throughout the body and circulatory system. Depending on the individual’s condition, Master Jie is able to absorb blockages among all energy fields of the body. Using his strong Chi energy healing, which could result in the improvement from illness and reduce pains that may have been caused by any blockages in a natural way. Through practicing his energy healing services based in Melbourne, he also helps you improve the immune system and circulation, which leads to the holistic improvement of your health and well-being. Through his energy healing, Master Jie has achieved many amazing results, including some cases that could not be solved via traditional treatments. For instance, long term heart problem, chronic pains, digestive problems, difficult sports injuries, depression and anxiety as well as some complicated conditions such as Parkinson diseases, rehabilitates after stroke and surgery. Master JIe is an expert teaching and guiding people practical health regimen knowledge. The concept of regimen is ” 30% from tune, 70% from support, 100% harmony”. All these regimen Master Jie advises can be easily applied in a daily life.